The paper describes a method for nanoinhomogeneous materials diagnostics using coherent X-ray (synchrotron) radiation through the example of a model ferroelectric relaxor lead magnesium niobate-lead titanate (PMNPT10). The results of X-ray scattering experiments on PMNPT10 show the presence of foci of polarization in the material both below and above the phase transition temperature. 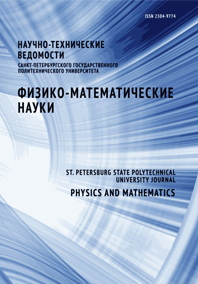 The results of modeling of scattering by simple two-dimensional lattices also are presented.